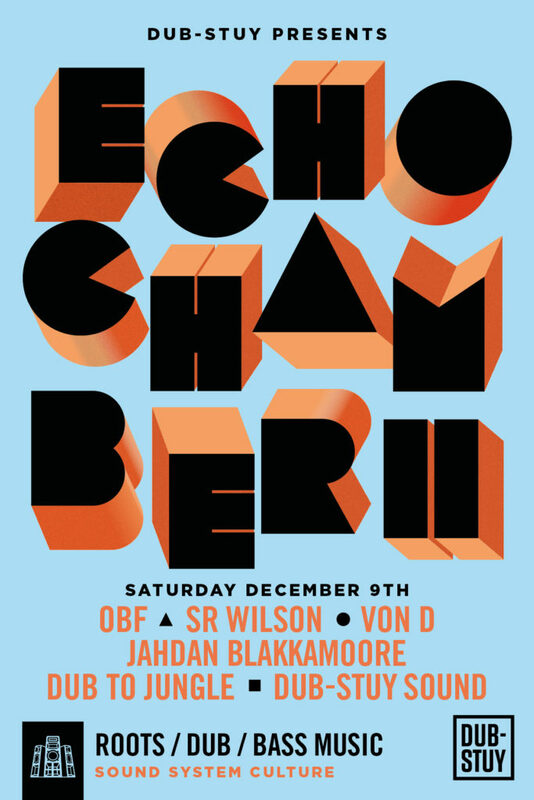 Dub-Stuy officially turns five this fall and the Brooklyn-based collective is celebrating the occasion, as well as a busy and successful year, with the 11th edition of its Echo Chamber club night on Saturday December 9th at the Paperbox in Brooklyn. 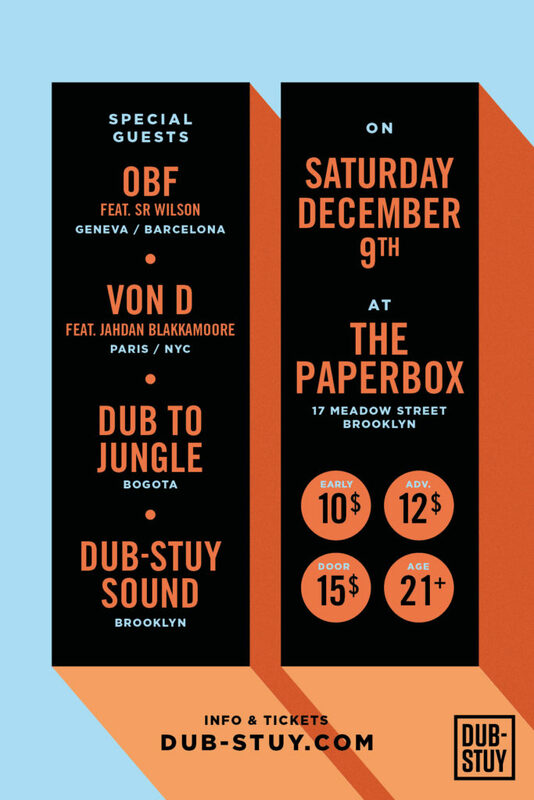 The evening sees the NYC return of two Dub-Stuy favorites and close allies: Geneva’s OBF, alongside Barcelona’s Sr. Wilson, and Von D from Paris, backed by the city’s own Jahdan Blakkamoore. As always the night will be brought to life by Dub-Stuy’s own custom-built 15,000 watt rig. One of Europe’s leading sound system crew, OBF return to Brooklyn following their successful showdown with Mungo’s Hi-Fi at the 2015 Outlook launch in NYC. This time they’re bringing with them Sr. Wilson, a long term collaborator and the voice of their recent “Rub A Dub Mood” single, which has been setting parties alight all over the world. Expect a heavyweight rub-a-dub session full of dubplates and explosive vocal performances. Backing up OBF is Von D, the Paris-based veteran dubstep producer whose recent return to the dub arena has made him a favorite of many. Von D will be celebrating the release of his Wicked Scam EP on Dub-Stuy Records with a special set alongside Jahdan Blakkamoore, whose vocals grace the EP’s title track. Completing the line-up is the NYC debut of Dub To Jungle, a collective that has been championing roots and sound system culture in their native Bogota, Colombia. 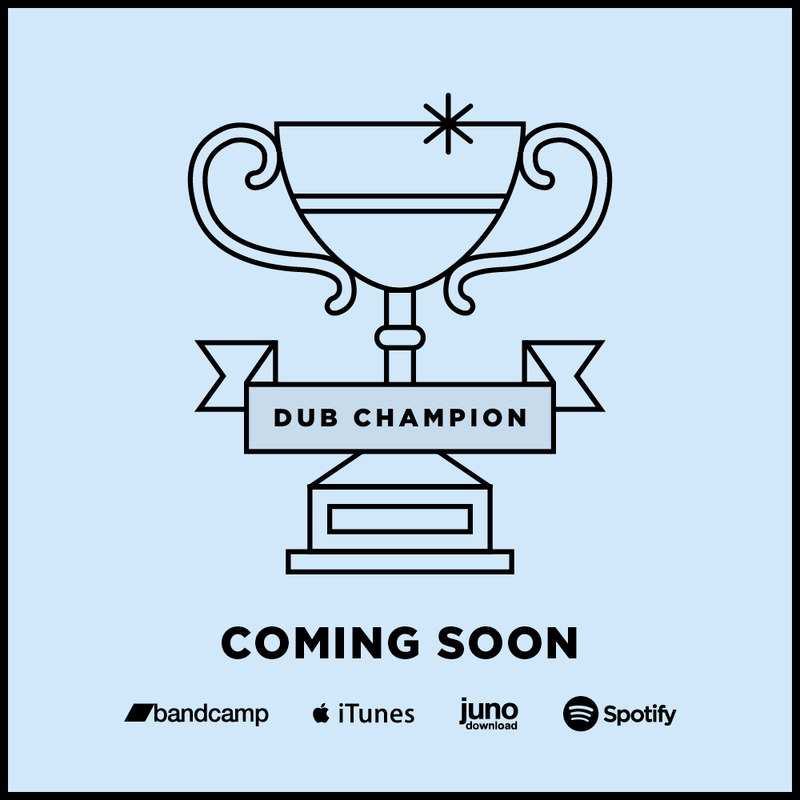 Last but not least, Dub-Stuy Sound will also be throwing down with exclusive dubplates, forthcoming and past releases from the label’s growing catalogue. Once again, Dub-Stuy brings together a truly international and forward thinking line up to Echo Chamber that represents the diversity of the global sound system culture. This is set to be a night to remember!